Most of our solid wood furniture is made from either Oak, Maple, Pine, mostly within BC. Below are some characteristics of each wood. Keep in mind that no matter what material your furniture has been built from, it is important to properly care for and maintain your pieces. For information on keeping your furniture beautiful: Looking after solid wood furniture. Until recently Alder was used by several manufacturers, however the price of the wood became prohibitive, so most of these manufacturers switched to using Maple, as it has a similar look. We have a limited amount of alder furniture. Harder than Maple, but softer than Oak it is the most expensive of the three. 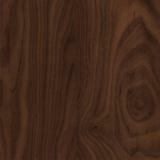 A hardwood with a fine tight grain, it has conspicuous wood rays with tiny, almost invisible wood pores. Beech is excellent for furniture due to its stability, durability and shock resistance. It is also takes stain very well which results in a beautiful consistent finish. This is another hardwood which comes from the East Coast, hence it is often the preferred wood of many Quebec and Ontario manufacturers. It’s finished look is similar to Alder and Maple. The East coast Maple comes in two types. One is softer, the other harder than West coast Maple. Maple is generally harder for manufacturers to work with, doing the reverse of Oak. It is a fast growing wood, and the tension in the wood is often released upon cutting in the form of twisting or splitting. However it gives a beautiful finished look. Unlike Oak which has a marked variation of grain patterns, Maple is generally more homogeneous, with large swirls and less tightly knit grain. It lends itself to contemporary designs with darker stains providing clean looking furniture, particularly condo style furniture. Often thought to be the hardest of the woods, it is in fact softer than the denser Maple varietal. Oak is predictable to work with. When it’s cut, it doesn’t twist or split, and there is less wastage. Oak is slower growing, so there is less tension in the wood. Oak furniture is often known for it`s very traditional furniture, such as Mission or Shaker styles, and Quarter sawn. 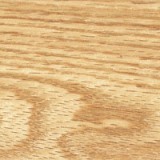 The softest of the wood types that we supply, it is also the least expensive. However there are many types of pine, each with varying degrees of hardness. For instance Alpine uses Lodgepole Pine exclusively, which is the hardest of pines and is used for making telegraph poles. Pine is usually associated with a country or rustic feel as the surfaces are easily marked due to the softness of the wood. This marking is not necessarily undesirable, as it adds to the patina over time. The knots are quite prominent which results in more variation in the look of the furniture’s surface. As a result this furniture is most often styled in a casual or farmhouse design. Over time wood furniture will change in colour. For instance Oak usually gets progressively darker in the first 2-3 years and then stops; Fir will just continue to get richer and richer in colour. The finished look of a piece of furniture will not only vary depending on the choice of stain; Different types of wood, even different batches of the same type of wood will take stains differently and even a single piece of wood will not absorb stain uniformly; Different manufacturers may use a stain with the same name, but they are not necessarily identical. In addition, each manufacturer has their own way of applying stain. We are able in many cases, to get unstained furniture and then have it stain matched to your needs. For more information look at our solid wood care instructions and staining process.